We LOVE this video skater Rampunkzel made after our practice 7.27.17! Definitely surprised skater Joan Jett’Em with a birthday cake 🎂 🎂 🎂 & impromptu party. 🎉🎉🎉 Happy Birthday, Joan!! 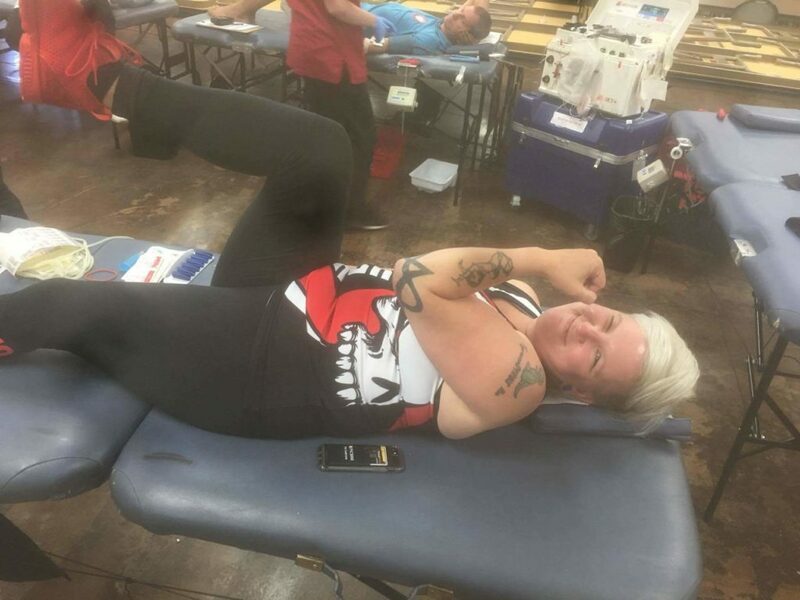 Make Em’ Bleed – Kickoff Blood Drive Event A Success! Thanks to everyone for coming out and donating at our very first blood drive! 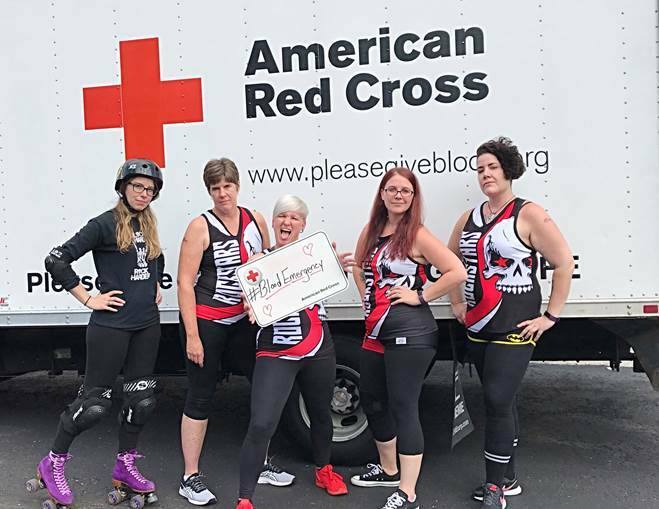 Our blood drive was the kickoff event for the National roller derby blood drive campaign. We surpassed our goal! We had 36 donors at our event, and we thank each and every one of you! True definition of a Rockstar! 👏👏👏 After the event, the Pottstown Mercury wrote up a great article summarizing the event and how it all got started. Check it out here! ROCKSTARS at the blood drive promoting the need for blood. Photo Cred: The American Red Cross. My first official Fresh Meat Boot Camp was in February of 2014. I met a whole bunch of very nice and interesting people from all kinds of backgrounds and remember feeling comfortable being there, albeit anxious about actually skating and remaining upright. Learning to skate, and especially learning the skills for roller derby, is very challenging. I tried to get there for every practice. Sometimes I made it, sometimes life happened, sometimes the demons in my head kept me from going. 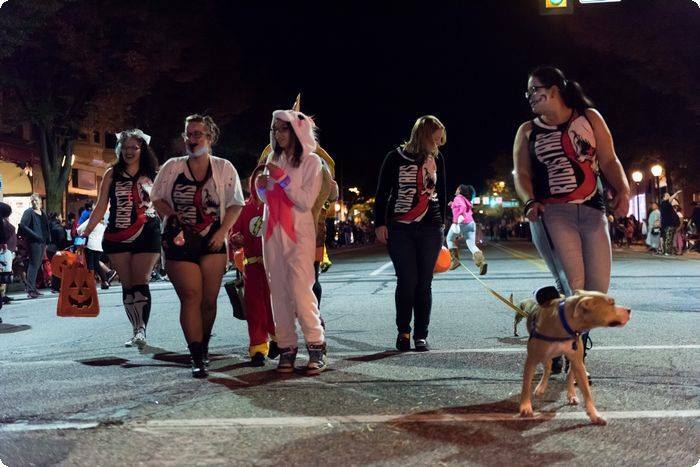 Rockstar Roller Derby is in the news – We are going Old School! Channel 69 News came out to one of our practices and did a piece on our league! Rockstar Roller Derby is making news with our decision to go old school, and do things a bit different. Check out the news article below to learn more, and visit here to watch the segment that aired! 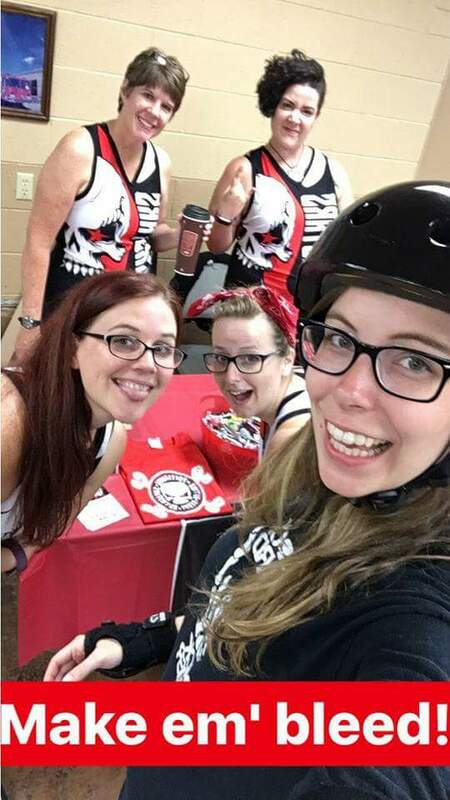 LOWER POTTSGROVE TWP., Pa. – A local roller derby team has been practicing twice a week for the past seven years, but members say they’re tired of the rules, so now they’re going to follow their own. “There’s a lot of skating and a lot of hitting,” said head coach Tamrin Jenison. Rock Star Roller Derby International has started practicing and tryouts for the upcoming season at the Ringing Rocks Roller Rink in Lower Pottsgrove Township, which usually means explaining all of the tedious rules and penalties. But this season, they’re changing things up a lot. They’re throwing out their long list of rules and going old school. “There might be a little bit of wrestling. There might be a little bit of hitting, you know, we might throw some bows,” said Varley. The team’s new style of play will probably look something like a scene from the 2009 film “Whip It,” which shows players emulating old school roller derby techniques from the ’60s. “I wanna make people be like, ‘Oh my God! Like what is going on here,'” said Jenison. Since many teams in the area don’t play by these new, or old rules rather, players will mostly scrimmage themselves this season. So far, 32 players are signed up, including newbie Jennifer Fry. She works in finance and is a mother of two teenagers. But these ladies say what’s really crazy is life without roller derby. “This just desire to be able to be venerable somewhere and then discover your strength within that venerability,” said Jenison.